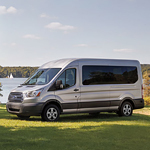 It's unanimous: We here at Lithia Ford Lincoln of Grand Forks firmly believe that the Ford Transit Passenger Van is a winning example of a passenger wagon. This wagon's list of appealing characteristics are too long to list, but a few are worth mentioning. 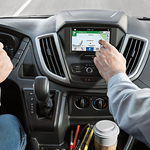 We really like the Ford Transit Passenger Wagon’s tech features, especially the two briefly discussed below. Having best-in-class towing and efficiency ratings, the 2019 Ford Super Duty is available for a test drive at Lithia Ford Lincoln of Grand Forks. 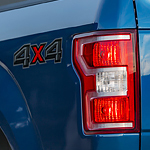 The cabin options for this full-size pickup truck include regular, super and crew. When you browse for a new model, you should explore the various payload and trailer ratings based on several parameters. 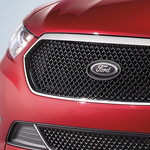 At Lithia Ford Lincoln of Grand Forks, we love the Ford Taurus. It’s a popular full-sedan and has been for years. It offers quite a number of interior features to be impressed by in Grand Forks. A number of high-quality materials are used throughout the interior. Plus, you can look forward to many available features, including heated and cooled front seats, a heated steering wheel, and a Sony audio system. Ambient lighting is sure to impress, too, especially when you can select the color, ranging from soft blue to green to purple. 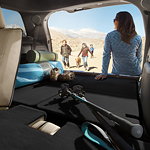 The Ford Transit Wagon has seating for multiple passengers. Thanks to its spacious design, many people in Grand Forks use the Ford Transit Wagon to run a shuttle service. Our team at Lithia Ford Lincoln of Grand Forks always tries to keep our consumers well-informed about the models at our dealership so that they can make an informed purchase. The Ford Explorer is a sought after three-row SUV because it offers a number of performance features that provide you with power and capability. Ford is known for manufacturing top of the line pickup trucks, and the new Ford Ranger hasn't fallen short of this standard. 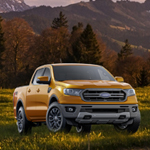 The Ranger is a popular midsize pickup truck at Lithia Ford Lincoln of Grand Forks because it offers a number of technologies. Read further to check out a few of its technology features. The Ranger includes the SYNC 3 infotainment system. This system comes with Android Auto, Apple CarPlay, a voice-activated Navigation system, and two USB ports. The eight-inch touchscreen that comes with the SYNC 3 includes pinch-to-zoom capability. Here at Lithia Ford Lincoln of Grand Forks, we are often asked to recommend a vehicle that can handle anything that life might throw at it. 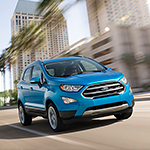 In these instances, we often find ourselves pointing people toward the Ford EcoSport. This popular compact SUV offers all of the capability features that a driver could ever need. More and more hybrid sedans are driving off of car lots because of their incredible design features and best in class fuel economy. That is why our team of hybrid experts here at Lithia Ford Lincoln of Grand Forks are so excited to announce the arrival of the brand new 2019 Ford Fusion Hybrid! 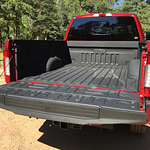 Are you trying to figure out which popular pickup truck will provide you with all of the power that you need to get your work completed? Are you looking for a vehicle offering great performance features? Come by Lithia Ford Lincoln of Grand Forks to learn more about the Ford F-150 and all that it offers.